Happy New Year to everyone from Mexico. It has been a good start to 2006 here as ministry moves forward and work remains busy. We have enjoyed another Christmas in Leon and prepare for a crazy spring and summer. As a family, things have been going well. Alison was in a school play at Christmas time and like the other kids, demonstrated her Spanish singing ability. On a weekly basis, Alison’s language skills increase and keep Jessica and I constantly amazed. Our son Christian prepares for his third birthday next week and evidently has just now begun his “terrible twos.” Actually, Christian has always been very timid and is finally showing a bit of attitude (probably learned from watching his sister). Jessica keeps everything around the house in working order and feels really good about the culture. Regularly the nationals here tell me that her Spanish is good and her cooking is great. Mexico has been a lot of fun for our family and feels very natural to us. Things like culture shock or language struggles that used to be regular difficulties are now much milder and often ignored. Work and life is going great and we are just glad to be here. There were a few first events in our lives this last month that we did want to report. 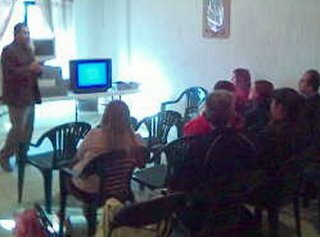 For the first time I taught the teenager’s Bible class. The youth seemed to pay attention and learn from the study. 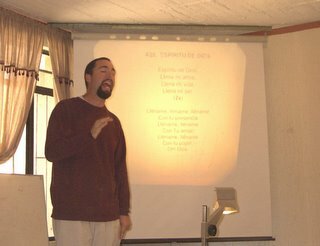 As most kn ow, teenagers can be the harshest critics and so teaching their class was a good milestone in my language development. 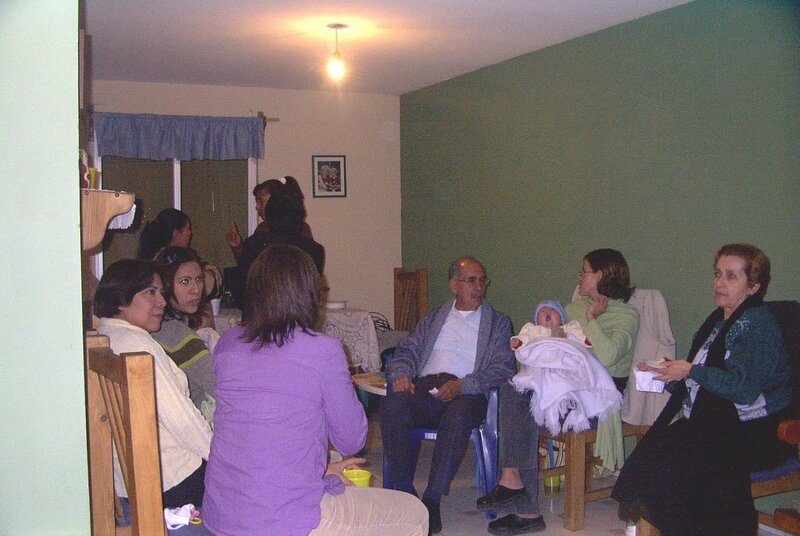 Likewise, on January 1st, we had our first Sunday worship without the rest of our mission team. While the Gary family was in the States and the Palafox family was in Guadalajara, I enjoyed the challenge of taking on full responsibility. 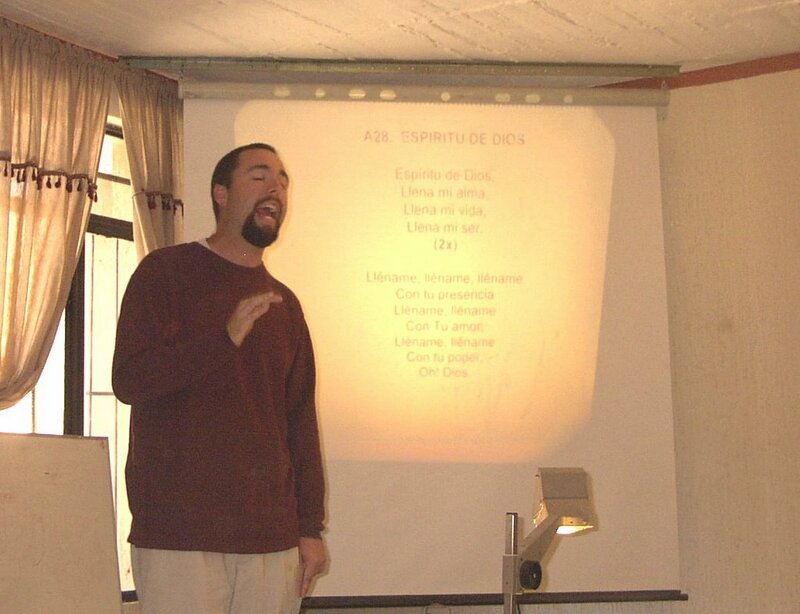 I did utilize Mexican leadership of our congregation (something that we do often), while I wore quite a few hats of my own. My experience in the States is that it is never easy trying to coordinate all of the worship service as a leader without help. Doing so for the first time in Spanish was a great test, filled with many rewards. We did enjoy several cong regational get-togethers during the holiday season. My parents got to come down for Christmas. Obviously Jessica and I enjoyed a good visit with the family and needed some good conversation time with English speakers. 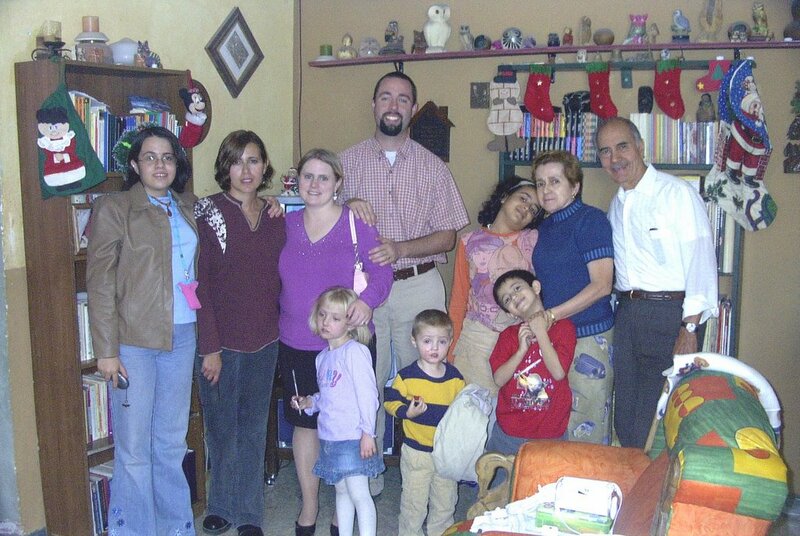 On New Year’s Eve, Jessica and I visited another Church of Christ congregation in Leon and “rang in 2006” with our Mexican brothers and sisters across town. 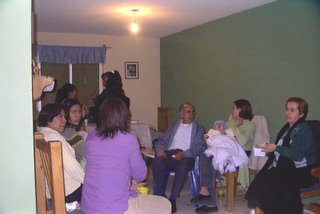 Then, on the Mexican holiday called Kings’ Day, we invited that same congregation over to our house to join our congregation in games and fun. The winter season was wonderful and a good opportunity for congregational unity. One way that the congregation he re is trying to impact the community is by offering up various social services to reach out to those within our neighborhood. This service takes place in our benevolence work as well as in the form of education. When we learned of the possibility of bringing in a health advisor from Mexico City to host a medical awareness day, we jumped at the opportunity. The seminar, which focused on cancer among women, did bring into the building some new contacts and allowed us to serve on a physical level. We are always open to new possibilities of neighborhood service for the future and welcome anyone visiting to Mexico to join us in this endeavor. Last month I did ask for prayers for our visas as we were unaware whether or not we would be running back to the border for one day to fill out paperwork. As of today we still are unaware of what the future will hold in this way, although we are more confident that such a trip may not be necessary. If the government is satisfied with all of our paperwork than we should be in the clear. However, things tend to be vague within the Mexican immigration system, and we remain at the mercy of “the next guy” who looks over our information. Every time that the government asks for a new form, a cloud of stress begins to loom over our heads. This process has been very frustrating for us, but seems to be finally looking up. Please keep this process in your prayers. Again, we thank God for you in so many ways. Often my prayer for you is that you will see in some physical way the rewards that you store up for yourselves by helping us. Your service influences the kingdom of God. Thank you for your service.